A three day hearing is due to commence on Monday 28 June to decide the appeal in Dallah Real Estate and Tourism Holding Company v The Ministry of Religious Affairs, Government of Pakistan. 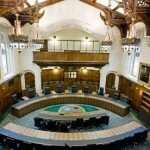 The Supreme Court will consider whether a challenge to the enforcement of an arbitral award under s.103(2) of the Arbitration Act 1996 permits only a review of the tribunal’s decision, or alternatively a full re-hearing of the issue, and also whether the breadth of the Court’s discretion extends to enforcing the award in any event. The decisions of the lower courts are notable as rare examples of English courts refusing to enforce a New York Convention award, and the Supreme Court judgment will be its first opportunity to build on the arbitration case law developed by the House of Lords in cases such as Lesotho Highlands Development Authority v Impreglio  UKHL 43 and Fiona Trust v Privalov  UKHL 40. A Saudi Arabian Company, Dallah, entered into an agreement in September 1996 with the Awami Hajj Trust. The Trust was set up by the Government of Pakistan to provide accommodation for persons attending the Hajj, an annual Muslim pilgrimage to Mecca, Saudi Arabia. That contract contained a clause whereby the parties agreed to take disputes to ICC arbitration in Paris. The Trust ceased to exist as a legal entity in December 1996 because the new Pakistani Government did not continue its ordinance. In 1997, a contractual dispute arose which Dallah referred to arbitration in Paris against the Government of Pakistan. The Government of Pakistan refused to participate in arbitration proceedings on the basis that it was not a party to the agreement with Dallah, or therefore a valid arbitration agreement. The ICC tribunal, which included former Law Lord, Lord Mustill, found unanimously that the Government of Pakistan was bound by the arbitration clause. The tribunal awarded Dallah over US$18m in damages for breach of contract. In reaching a decision on the validity of the agreement, the High Court had to first consider the scope of an English court’s enquiry when a party challenges the enforcement of a Convention Award under section 103(2)(b). Mr Justice Aikens held that a full rehearing of the jurisdiction issue was the correct approach, justifying this approach on the basis of the statutory construction of section 103(2)(b). Upon subsequently re-examining the tribunal’s decision in full, the Judge disagreed with the tribunal’s ruling and refused enforcement of the $18m award on the basis that the arbitration agreement was “not valid” for the purposes set out in the Arbitration Act. The High Court, applying French law, held that the law of the country where the contract was entered into governed the question of legal capacity to enter into the agreement. Under Pakistan law the agreement would not have bound the Government of Pakistan without the signature of Pakistan’s President. Accordingly the High Court held that Pakistan was not a party to an arbitration agreement. The Court of Appeal confirmed the Judge’s decision and agreed that a full rehearing, rather than a mere review of the arbitral tribunal’s decision, was the correct approach. 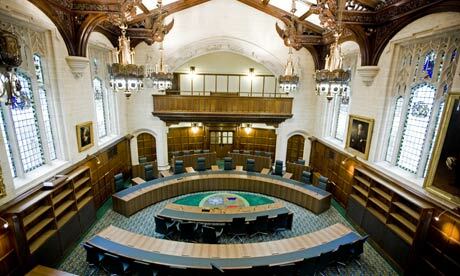 In this, the first arbitration appeal to reach the Supreme Court, a five-judge panel of Lords Hope, Saville, Mance, Collins and Clarke will decide whether the Court of Appeal were right to approve a full re-hearing of the jurisdiction issue. It is particularly fitting that Lord Saville should hear this case as one of his first since his return from chairing the Bloody Sunday Inquiry, given his association with arbitration and the Arbitration Act 1996. In the international arbitration context, England is generally thought of (or at least likes to think of itself as) a pro-enforcement jurisdiction. Whatever the verdict of the Supreme Court, the decisions of the High Court and the Court of Appeal to overturn the tribunal’s award has undoubtedly raised alarm bells over the finality and enforceability of arbitral awards in the UK, and, at least by association, its attractiveness as a venue for international arbitration. Leave a reply on "Case Preview: Dallah Real Estate and Tourism Holding Company v The Ministry of Religious Affairs, Government of Pakistan"